Fig. 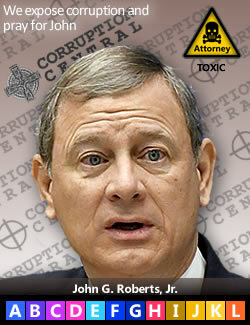 1 – Chief Justice John G. Roberts, Jr.Justice Roberts in Leader Technologies' Petition for Writ of Certiorari in Leader v. Facebook failed to disclosue his massive holdings in Facebook financial interests, and he declined to hear Leader's appeal In addition, Justice Roberts failed to disclose his mentoring relationship with Facebook's Gibson Dunn LLP attorney Thomas G. Hungar. News Flash: After encouraging Dr. Arunachalam to investigate his financial holdings "to your heart's content," Patent Judge Brian J. McNamara didn't like the results. He just sanctioned Dr. Arunchalam and threatened to invalidate her patents if she pursues her complaints about his JPMorgan financial conflicts of interest. 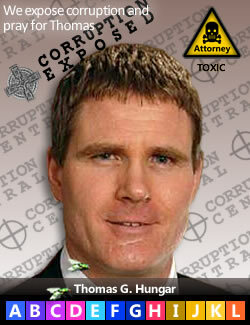 He expunged the filings analyzing his JPMorgan, Micrsoft, SAP, Citigroup, etc. financial holdings (linked here). Memo to Judge McNamara: This is not about whether you can sneak around and hide your stock in JPMorgan, SAP etc. This is about Dr. Arunachalam's solemn property and due process rights. You are trampling on your DUTY to be impartial. How did you grow so rich while working at the Patent Office anyway? McNamara essentially admitted that he had the conflicts, but that the rules absolve him (in other words, the rules allow cheating and deception!). 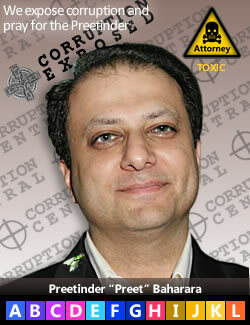 He also said she cannot represent herself pro se and must hire an authorized attorney, which is illegal. 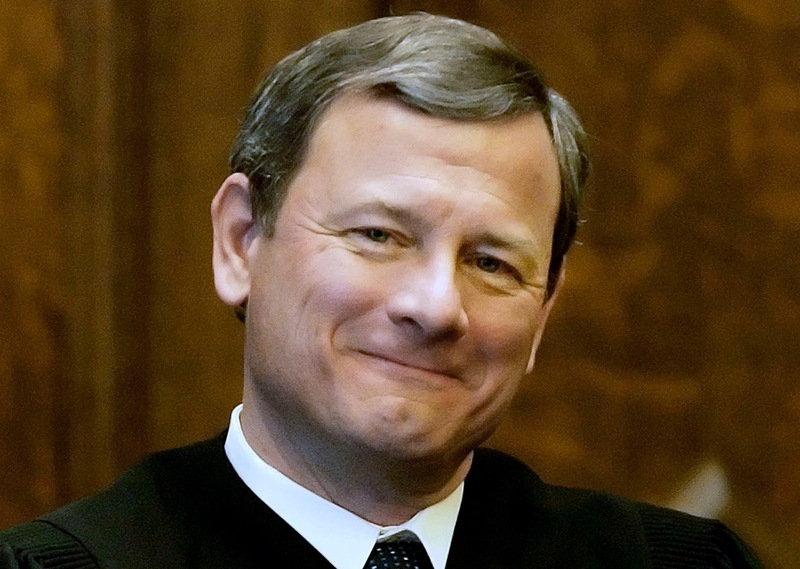 Instead of just withdrawing from the case, he imposed self-serving rules that will enable him to stay in the game and muzzle further complaints about his conflicts, citing a flurry of rules to hide behind, like recalcitrant judges always do. 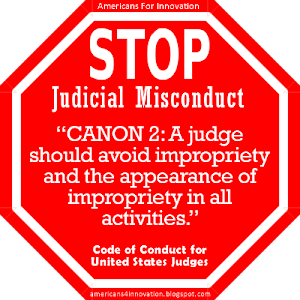 So much for the Code of Conduct Canon 2—avoid the appearance of impropriety. censoring dockets in six "patent reexaminations" in Dr. Lakshmi Arunachalam's Pi-Net v. JPMorgan/SAP cases. 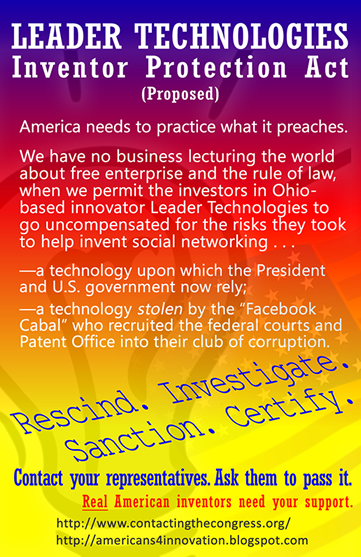 Yes that's right, a patent property right is a joke in this post "America Invents Act" era. Deep-pockets can tie your patent up for decades with new AIA legal harassment tricks. Dr. Arunachalam's filing (click here) exposed McNamara's financial holdings in JPMorgan, SAP, Citigroup, Bank of America, etc.—the banks Dr. Arunachalam is suing. 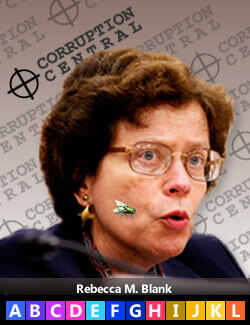 Earlier she showed that Delaware district court judges Leonard P. Stark (click here) and Richard G. Andrews have substantial holdings in the same banks, as do many Supreme Court and Federal Circuit appeals court judges who are embroiled in the corruption scandal involving former chief judge Randall R. Rader. 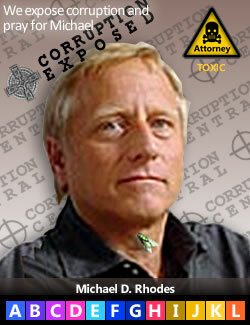 Rader was a law student of Professor James P. Chandler, the attorney now implicated in the theft of Leader Technologies' patent in Leader v. Facebook. Chandler was IBM's chief outside counsel. He worked directly with David J. Kappos at IBM in the founding of The Eclipse Foundation on Nov. 29, 2001, just as Leader Technologies' social networking innovations were coming off the drawing board. Chandler was ostensibly protecting Leader's intellectual property and introduced Leader to Battelle Labs, Livermore Labs, Boston Scientific, Wright Patterson Air Force Base, and Fenwick & West LLP. Magically, Facebook hatched 18 months later and Leader, Chandler's and Fenwick's client, was iced out of the market. Fenwick started filing patents for Facebook in 2007 (without disclosing Leader's prior art). Barack Obama announced his candidacy on Facebook in 2007. Kappos was appointed director of the Patent office in 2009. IBM sold 750 patents to Facebook a month before the public offering, a month after Kappos ordered the 3rd Leader reexamination. Fenwick took Facebook public in 2012. The smell of dead fish is pronounced. Photos: U.S. Courts, Fenwick & West, der Spiegel, Harvard, White House, U.S. Congress, Wall Street Journal, New York Times, Washington Post, Gibson Dunn, Cooley Godward, C-SPAN, Univ. of Del., GWU, NIPLI, Yahoo, Chicago Tribune, FINRA, SuperSleuther, Unknown, LinkedIn, Flickr, U.S. SEC, Federal Reserve, U.S. Justice Dept., San Fran. Chronicle, U.S. Commerce Dept., for educational purposes only. We almost forgot to mention that we just received the public financial disclosure of patent judge Stephen C. Siu (click here) who was assigned by Kappos, in an unprecedented move for a Patent Office director, to invalidated Leader's patent in a secret Patent Office court. Not surprisingly, Siu holds the telltale insider darling fund Fidelity Contrafund and worked for IBM with Kappos. 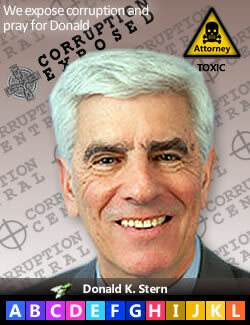 Siu staffed his Kappos-directed kangaroo court with other IBM cronies. 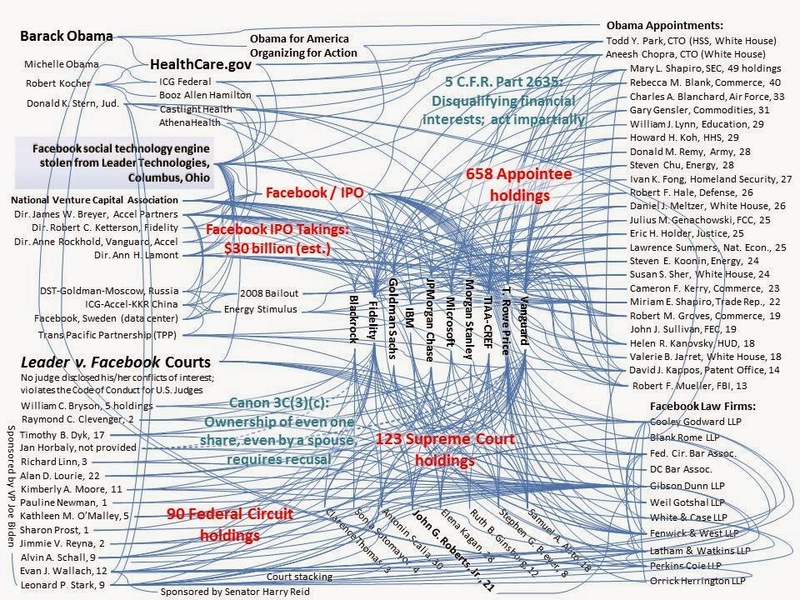 Click here for a new analysis of Stark's 6,869 holdings in Facebook interests. You do the math. 78% are lawyers. We're hearing these two excuses repeated by judges who have millions and tens of millions of dollars in net worth when they are asked why they did not diclose their stock holdings in litigants like JPMorgan and Facebook. Memo to Judges: Your duty is to disclose your mutual fund portfolio holdings to the parties if there is even the hint of a potential conflict—"even one share." The parties (not you) will decide whether those holdings are de minimus or not. On an insider tip, a judge favored by this cartel will invest $500,000 in a Fidelity, T. Rowe Price or Vanguard fund with $30 billion in assets that holds JPMorgan stocks and bonds, for example. * If anyone questions whether he should have disclosed that holding before presiding over a JPMorgan case, he uses the excuse that he doesn't have to because it is a "de minimus" holding (of no consequence)—even though he will benefit personally by decisions favorable to JPMorgan. Of course, compared to the whole fund its only 0.0017% of the fund. However, ask the investor who invested $500,000 in the patent that the judge just helped JPMorgan steal if its "of no consequence." That's ignoring that the judge tripled his investment after the insider tip; but of course, that is also de minimus according this convoluted definition. Memo to Judges: Even the so-called "safe harbor" exemption says it does not apply when you get regular portfolio reports from your mutual funds, which you do twice a year, by law. Using these excuses, no judge would have to disclose any holding in any company stock held by a mutual fund—the ultimate scam. 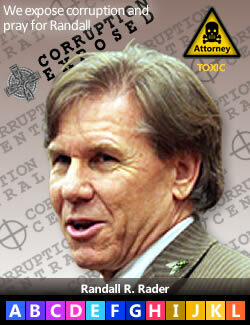 This makes Bernie Madoff look like a gradeschooler, and this time, our supposed watchdogs are in on it! 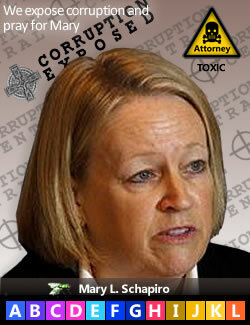 For example, SEC Chair Mary L. Schapiro holds over 50 Facebook "dark pools" mutual funds. Quoting the game hunter in Jurassic Park: "Clever girl." * The other mutual funds of choice in this Mutual Fund Scam are Fidelity, T. Rowe Price, Vanguard, BlackRock, Baillie Gifford, Goldman Sachs, Citigroup, Bank of America, JPMorgan, Barclays, Credit Suisse, Wells Fargo, Morgan Stanley, UBS and Deutsche Bank and TIAA-CREF. 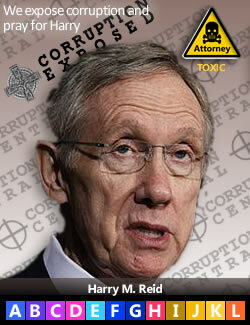 These are the same people we have entrusted with guarding our justice system and the rule of law. (Nov. 26, 2014)—AFI investigators have wondered how certain judges, bureaucrats and politicians acquire sudden wealth after attaining high office. It’s either pure genius, or fraud. Turns out it’s mostly fraud, at least in the cases we have investigated: Leader v. Facebook and Pi-Net v. JPMorgan. Fig. 2—U.S. Patent Office & Federal Circuit Court have devolved into a den of thieves controlled by big law firms & their deep pocket clients. 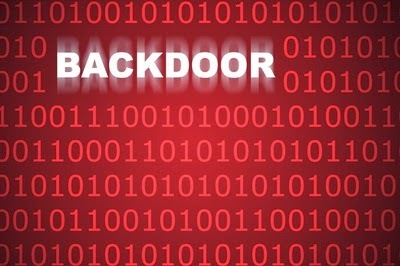 Promising ideas are backdoored before the patents are even issued, giving the deep-pockets a jump on all the best business opportunities. The idea that the Patent Office treats small inventors fairly is a carrot and stick to lure unsuspecting innovators into the lair. The Patent Office has become a system highly biased to big infringers. Internet pioneer Dr. Lakshmi Arunachalam is having to fight just to get her judge off the Pi-Net v. JPMorgan/SAP case after discovering that the judge holds substantial JPMorgan interests. We see the same patterns in Ceglia v. Zuckerberg and Rembrandt v. Facebook. 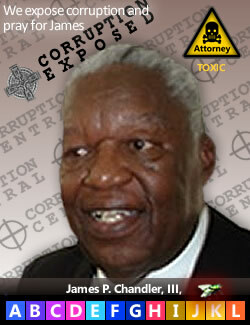 The list of go to-attorneys for this Cartel is a tight little group associated with their adviser, Professor James P. Chandler. Chandler appears to be running the show from his perch on the Potomac. Tom Clancy couldn’t make this up. First we’ll describe how we believe they did it, then we’ll give hard data retrieved from the government’s archives to prove it. Thanks to librarians from a prominent law school for their assistance. Since a picture is worth a 1000 words, Fig. 2 is an illustration of how Leader Technologies’ attorneys Professor James P. Chandler and Fenwick & West LLP (Gordon K. Davidson) led the heist. Fig. 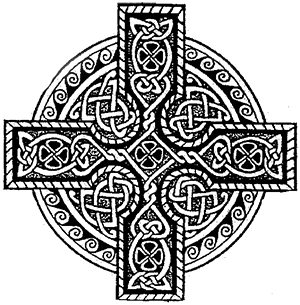 3—The Representative Government Zeitgeist—Zeitgeist means the defining spirit or mood of a particular period of history as shown by the ideas and beliefs of the time. Source: Wiley Inc, GoComics, Non Sequitur. Click the image to enlarge. Click here to download a PDF. Fig. 4—The Great Mutual Fund Scam. 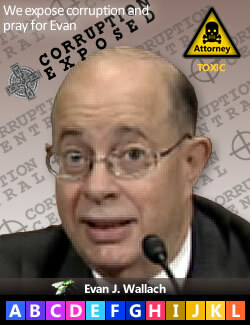 Illustrates how ethics officials from the Department of Justice, Office of Government Ethics and Judicial Conference schemed to create Gruberesque ethics policies so tortured that no one could understand them. 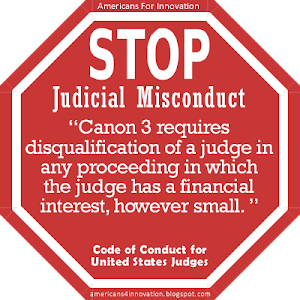 The result has been that few judges report their holdings in deep-pocket litigants hidden behind mutual funds. They cite the "safe harbor" exemption incorrectly. 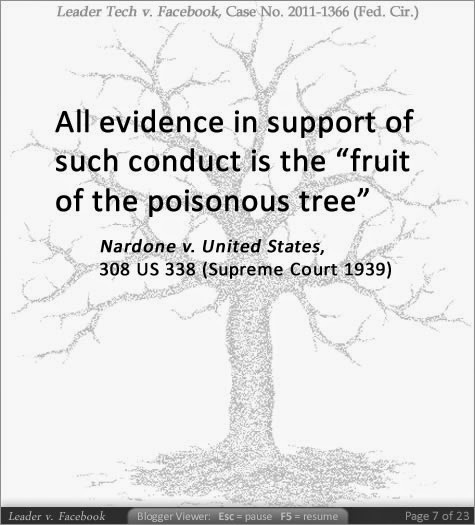 That has been especially true in Leader v. Facebook and Pi-Net v. JPMorgan et al. We have noticed the same undisclosed judicial conflicts in Ceglia v. Zuckerberg and Rembrandt v. Facebook also. Click here to download a PDF of this image with accompanying documents cited. Several documents that were generated at the scene of this crime were available in plain sight, once we knew where to look. 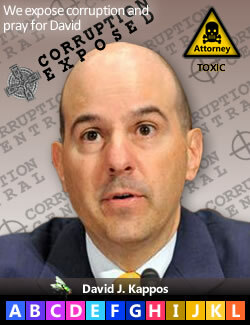 On Aug. 25, 2000, F. Gary Davis, 21-year veteran and acting director of the Office of Government Ethics (OGE) issued a tortured 13-page advisory opinion on mutual fund reporting. This advisory introduced the ludicrous notion that fund manager writings in prospectuses (and not actual fund holdings) would govern decisions about disclosing potentially conflicting stocks in a mutual fund. Given the notoriously known penchant for brokers to lie, surely Davis’ 21-years of experience told him this was a bad idea. 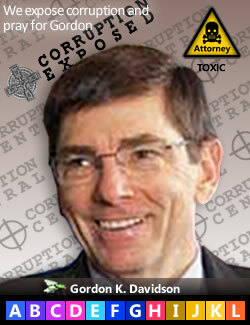 Was David lining his retirement pockets with Cartel favors? Following on Davis’ heals seven months later, on Mar. 14, 2001, the U.S. Judicial Conference introduced sweeping changes to the Code of Conduct for Judicial Employees. These changes cleared the way for federal employees in the justice system to use Davis’ ethics advisory to hide their stock in litigants under a euphemistically defined “safe harbor” exemption. Aug. 25, 2000—Tortured 13-page Mutual Fund OGE Advisory, Memorandum re. Mutual Funds by F. Gary Davis, Acting Director, U.S. Office of Government Ethics opened the floodgates for what has become widespread non-reporting of holdings. 4 months later . 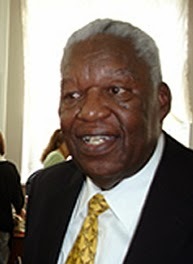 . .
Jan. 18, 2001—Bill Clinton appointed Professor James P. Chandler to the National Infrastructure Assurance Council (NIAC), White House Press Release, Jan. 18, 2001; gave Chandler the platform to argue that stealing Leader Technologies' invention was for the national good (as well as good for his other client, IBM). 2 months later . . .
On Mar. 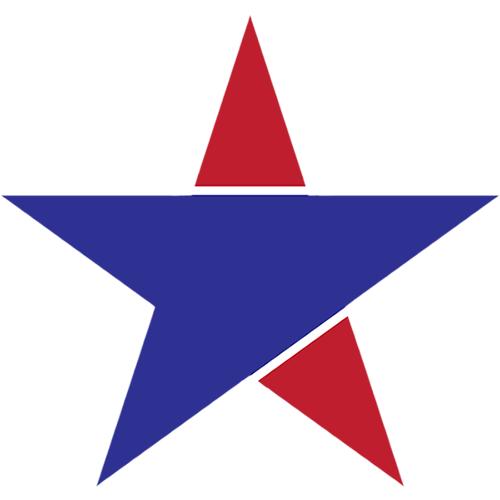 28, 2001—Washington, D.C. Conference on Intellectual Property, sponsored by Professor James P. Chandler, supported by David J. Kappos, IBM, Eric H. Holder, Deputy Attorney General, U.S. Justice Department and Boston Scientific. During the next 6 months, Chandler recommended Leader Technologies relationships with Wright Patterson Air Force Base (WPAFB), Lawrence Livermore National Laboratory (LLNL), Battelle Laboratory, Fenwick & West LLP. Source: US Courts, Leader v. Facebook. On Aug. 7, 2001, Chandler joined the board of Eurotech, Ltd. comprised of former senior government Energy Department officials looking to exploit homeland security opportunities. According to sources, Chandler said nothing to Leader nor sought a conflicts waiver on this relationship, even though he was engaged in Energy Dept. projects with Leader at WPAFB, LLNL and Battelle regarding Leader's inventions. On Aug. 20, 2001, we have verified that Leader entered a legal services agreement with Fenwick & West LLP at Chandler’s recommendation. No conflicts waivers have been sought by Fenwick, especially before they began representing Facebook. On Nov. 29, 2001, Chandler assisted David Kappos and IBM to form The Eclipse Foundation; said nothing to Leader about the conflict. Source: Eclipse press announcement. 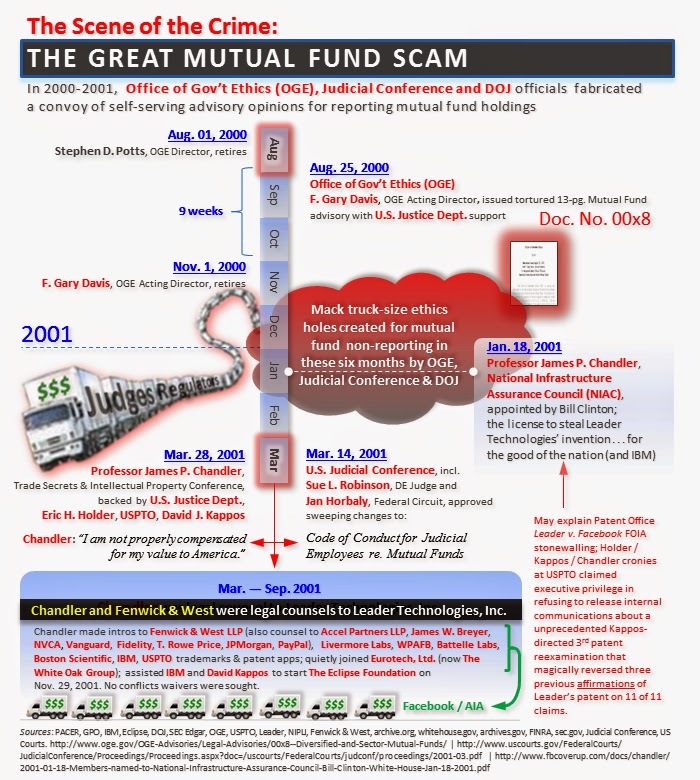 Table 1: The Great Mutual Fund Scam Timeline and supporting documents. Fig. 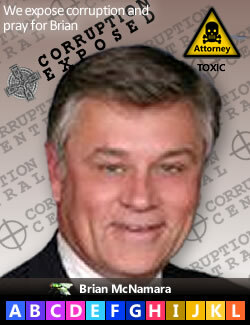 5—Brian J. McNamara, Patent Judge who is being belligerent in refusing to recuse himself from Pi-Net v. JPMorgan even though he holds large amounts of JPMorgan financial interests. Click here for Dr. Arunachalam's protest. For example, Patent Judge Brian J. McNamara holds up to $3 million in mutual fund stocks. He currently presides over a series of “patent reexaminations” triggered by mega patent infringers JPMorgan and SAP against Internet pioneer Dr. Lakshmi Arunachalam’s. 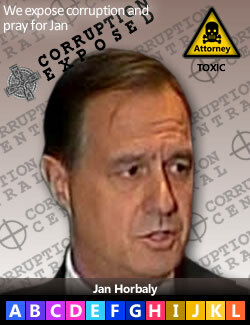 Judge McNamara makes $150,000 per year in salary. Clearly he suffers from sudden-onset investing genius. Click here to read her latest request for an impartial tribunal. 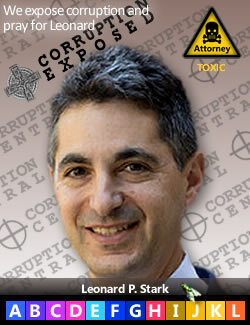 Click here to jump to previous post revealing Judge Leonard P. Stark's holdings and conflicts of interest in Leader and Pi-Net litigants. Longtime Federal Circuit Judge Alan D. Lourie in the Leader v. Facebook judicial corruption scandal is worth up to $15 million. How do they do it? Are they that much smarter? 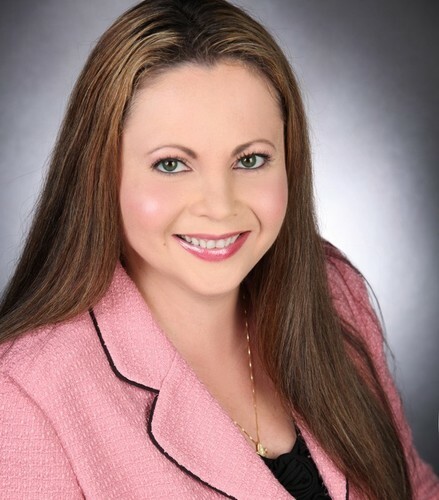 Dr. Arunachalam writes about this Great Mutual Fund Scam in her latest patent office complaints about Judge Brian J. McNamara bias. Or, click here for that filing. In Fig. 4 we include the related timeline for Leader v. Facebook events. The koinky dinks are off the charts now that the modus operandi is evident. Fig. 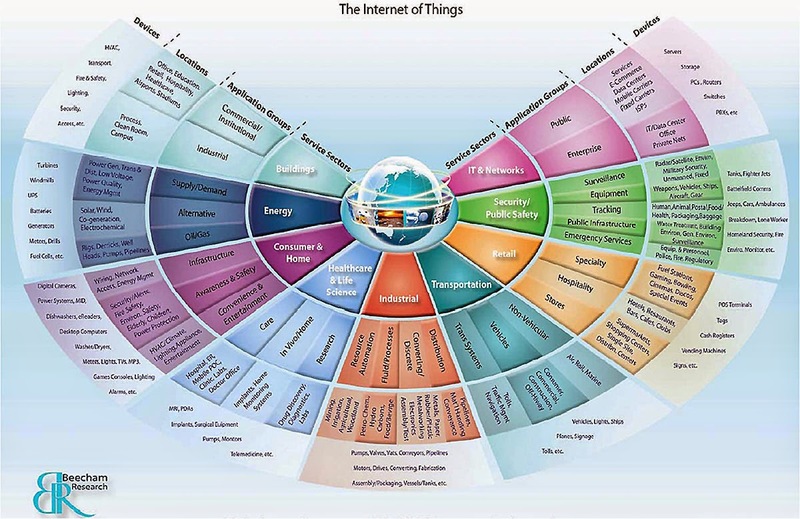 6—IBM / The Internet of Things. IBM is facilitating embedding surveillance technologies in hardware and software of all kinds to enable the stealth monitoring of everything. He who controls this digital infrastructure controls the messages and can manipulate the outcomes by pandering to targeted predilictions. It's a dangerous power in the hands of greedy banks who are generally distinguished by their moral turpitude. IBM and Microsoft figure prominently in this heist. The judges in Leader’s unprecedented 3rd patent reexam ordered by Kappos are all IBM and Microsoft cronies. In fact the chief judge, Stephen C. Siu, worked for both IBM and Microsoft, according to Siu's newly acquired financial disclosures. The patent judges between them have issued almost 100 patents to IBM, Microsoft and Xerox. 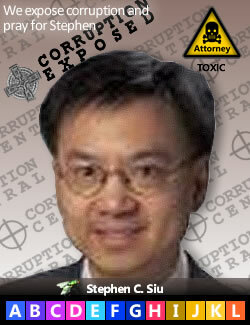 Judge Siu’s failed to disclose his newly discovered holdings in Fidelity Contrafund (his largest single holding). 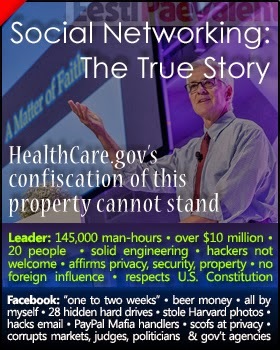 Judge McNamara holds Fidelity Contrafund as does Eric H. Holder, John G. Roberts, Jr. and three of the four Leader v. Facebook judges, Kimberly A. Moore (she sold it after the IPO, but held it during the Leader v. Facebook proceedings), Evan J. Wallach and Leonard P. Stark (though his Fidelity funds of funds). America appears to be run by people who are little more than educated bandits. Fig. 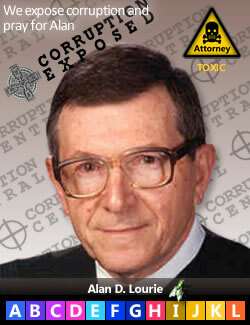 1—Daniel A. DeVito, JPMorgan's go-to lawyer for patent infringement cases they intend to win at any cost. 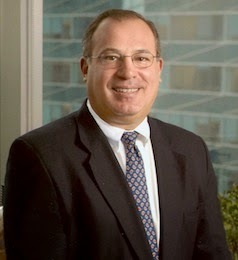 DeVito is a former colleague to and has a close relationship with Edward R. Reines, Weil Gotshal LLP. Reines was recently reprimanded by the Federal Circuit Court of Appeals for his chummy ("best friends forever") relationship with former chief judge Randall R. Rader. 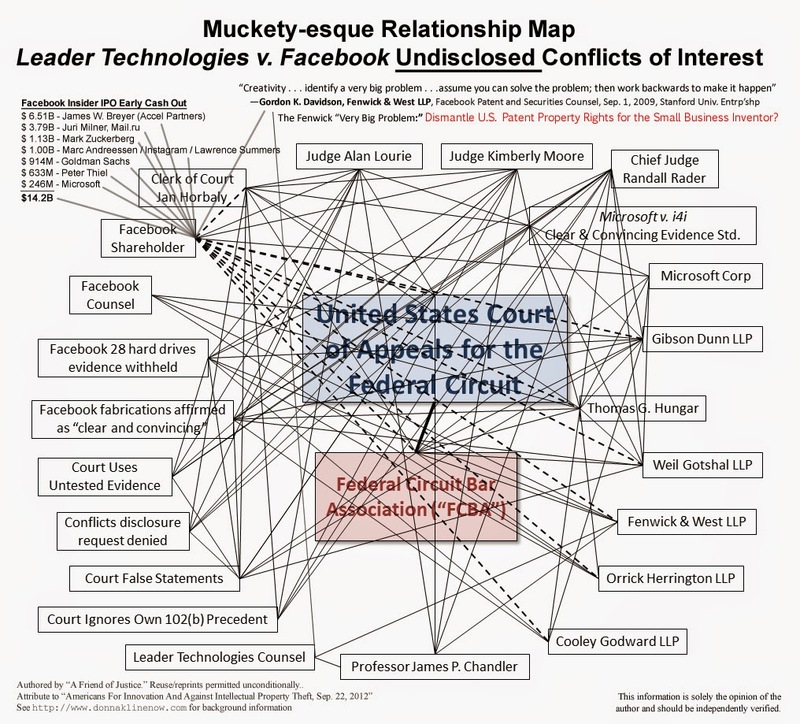 Federal Circuit judge Kimberly A. Moore, a Leader v. Facebook judge, also worked for Weil Gotshal LLP and did not disclose these conflicts, nor her investments in Facebook—JPMorgan's underwriting client. This conflation of chummy relationships paints a picture of unbridled judicial and lawyer corruption masquerading as justice. (Nov. 18, 2014)—Actor Danny DeVito played a mobster who ran a New York money laundering operation in The Big Heist (2001). JPMorgan Chase employs another Danny DeVito as its go-to Manhattan lawyer for patent infringement cases. Is life imitating art? We’ll give you the facts. You decide. On Nov. 14, 2014, JPMorgan’s Manhattan attorney Daniel A. Devito opposed Internet pioneer Dr. Lakshmi Arunachalam’s request to represent herself in Pi-Net International, Inc. v. JPMorgan at the Federal Circuit Court of Appeals in Washington, D.C. (across from the White House). Three days later on Nov. 17, 2014 (yesterday), Dr. Arunachalam (“DrA”) filed a stinging Sixth Amendment rebuttal to DeVito’s opposition. See Table 1 below. 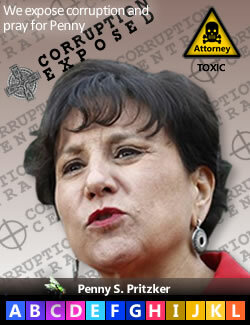 DrA shows that DeVito himself is embroiled in this judicial conflict of interest. These same relationships spill over into the Leader v. Facebook case where the trial judge, Leonard P. Stark, is now the chief judge in Delaware who is overseeing DrA’s case against JPMorgan which has been appealed. DrA also shows that chief judge Stark holds a massive 5,526 conflicting investments in JPMorgan and the other litigants in her case, including Wells Fargo, Citigroup, Bank of America. 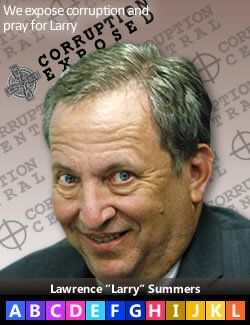 DrA’s trial judge, Richard G. Andrews, holds 334 conflicting JPMorgan holdings in just 12 of the 73 funds she analyzed. In an earlier filing posted on this site, DeVito criticized DrA for filing amicus curiae briefs in Leader v. Facebook. He called them “frivolous.” In reply, DrA pointed out that the guilty always call the truth frivolous. She pointed out that her concerns were justified, as evidenced by the recent resignation of Federal Circuit chief judge Randall R. Rader. Fig. 2—Jonathan Gruber, Professor, MIT, one of Obamacare's chief architects calls American citizens "stupid" for allowing the tortured wording of the Affordable Care Act to become law. Click here to see a good Greta Van Susteren interview with South Carolina Congressman Trey Gowdy about Gruber's confessions, which he called "dangerous for a participatory Republic." The "successful" Massachusetts model relied upon a $400 million infusion from a Ted Kennedy glad hand. 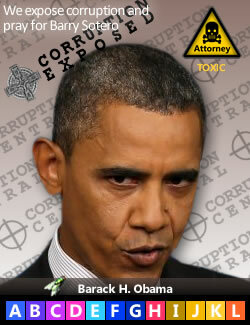 Congressman Gowdy speculates that President Obama doesn't have such public money for Obamacare. Yes he does, Obama's Facebook Cartel cronies have been stashing it away from various public fleeces, including: (1) "green" energy stimuli, (2) Facebook IPO money laundering, (3) athenahealth and Castlight Health IPO money laundering (WH CTO Todd Y. Park's companies), and (4) astronomically fake prices paid for crony tech firms like WhatsApp ($19 billion—more money laundering). We believe they had a plan to make it work by stealth through their crony bankers, like JPMorgan Chase. Part of the banks' reward is guaranteed "insider" deal flow from that support Obamacare. As they have proven from the mutual fund scam, once you give bureaucrats, judges and politicians corrupt gains, they are your slaves for life. Rader resigned in disgrace over his chummy “best friends forever” relationship to attorney Edward R. Reines, a partner at the law firm of Weil Gotshal LLP. Reines had made an appearance in the Leader v. Facebook in attempting to absolve the judges of their financial holdings conflicts for which DrA had filed a motion to compel disclosure (which the court ignored). DrA filed a stinging rebuttal of Reines’ arguments, but Judge Moore was totally silent about her relationship to Reines and Weil Gotshal LLP, as well as her substantial Facebook financial holdings. In DrA’s filing yesterday, we learn that JPMorgan’s attorney, Danny DeVito, is mixed up with Edward R. Reines as well. DeVito’s and Reines’ Weil Gotshal LLP firm appears to have substantial influence over Federal Circuit proceedings. 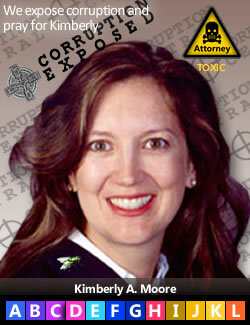 Federal Circuit judge Kimberly A. Moore. Moore has large JPMorgan holdings and sat on the Leader v. Facebook panel. Is Gruber right? 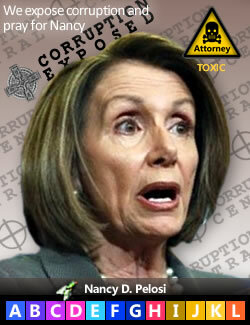 Are Americans too stupid to stop this corruption? 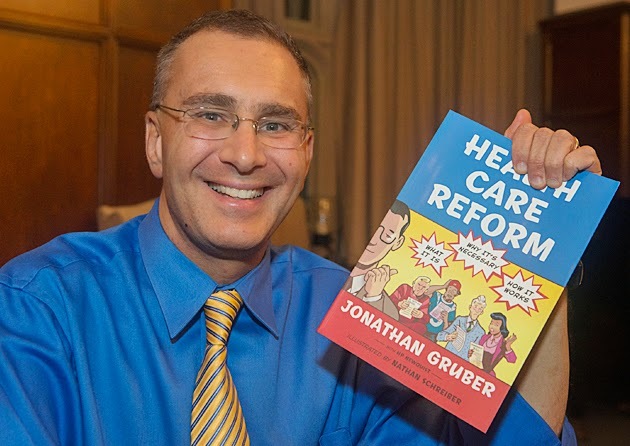 Last week, Obamacare chief architect, MIT professor Dr. Jonathan Gruber, said that Americans were too stupid to figure out that Obama’s healthcare promise were a lie to fool voters. In similar vein, JPMorgan CEO Jamie Dimon had a private meeting with Attorney General Eric H. Holder, after which he came away with a $13 billion slap on the hand for JPMorgan’s central role in the 2008 mortgage meltdown. Never mind that JPMorgan turned $100’s of billions on that money. Not a single banker has been prosecuted. U.S. courts appear to be greased by mutual fund bribes and insider tips. Summary of Exhibits: Exhs. A thru J = Judge Leonard P. Stark holdings (printed out, this is 1-3/4" inches thick). Exh. K = 12 of 73 Judge Richard G. Andrews holdings. Click here to see more complete analysis of Leonard P. Stark's T. Rowe Price PRGFX holding, Exhibit H, incl. an analysis of the so-called "safe harbor" mutual fund scam game these judges are playing to hide the rampant bribery and undue influence of deep-pocketed litigants. Leader Technologies/Michael McKibben: JPMorgan helped Facebook steal Leader Technologies’ social networking patent thru judge bribes hiding behind mutual funds, not to mention OSU Trustee President Jeffrey Wadsworth's key role. Pi-Net/Dr. Lakshmi Arunachalam: JPMorgan is working to steal Dr. Lakshmi Arunachalam Internet transactions patents thru judge bribes hiding behind mutual funds. 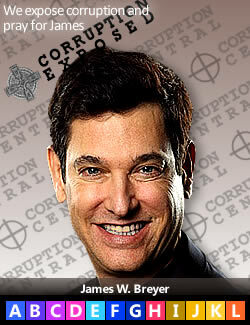 Ohio State/Jon Waters: JPMorgan fuels the corruption and M.O.O.C. takeover at Ohio State, the third largest research university in the country, whose trustees sacrificed their famous band to the racist Title IX gods in Washington thru bribes of OSU officials hiding behind mutual funds. Notably, new president Michael V. Drake has failed to disclose his mutual fund holdings in violation of Ohio ethics laws. Facebook Cartel/Lapdog Mainstream Media: JPMorgan fuels social media cronies at Facebook, LinkedIn, Instagram, Dropbox, Workday, Castlight Health (Obama’s CTO Todd Y. 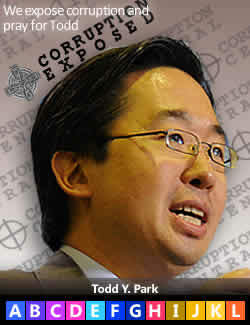 Park), athenahealth (Obama’s CTO Todd Y. 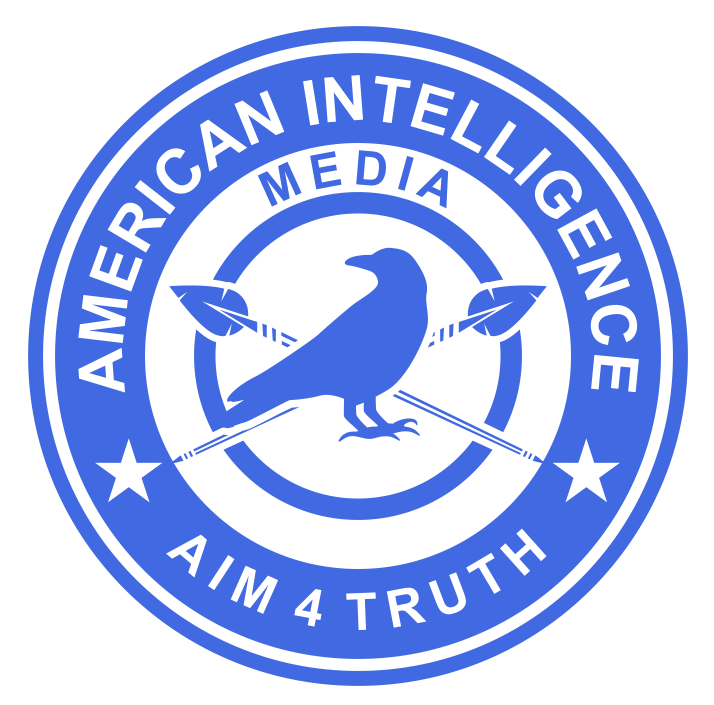 Park), Baidu (CHINA), Mail.ru (RUSSIA), ABC, NBC, CBS, Time Warner, etc. thru carefully timed insider tips hiding behind mutual funds. 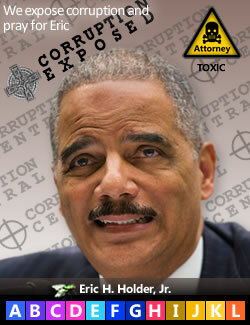 Lapdog Justice Department: JPMorgan dictates a window-dressing penalty levied by U.S. Attorney General Eric H. Holder who hides his own substantial JPMorgan mutual fund interests. We believe the emergence of Leader Technologies’ and Dr. Arunachalam’s Internet platform inventions appear to have sped up plans by “progressives” to remake American culture in their image. Once Leader’s attorneys learned of Michael McKibben’s invention, they secretly siphoned it off to IBM who then funded its exploitation via a specially-formed organization they named “The Eclipse Foundation.” Eclipse appears to have become JPMorgan’s version of DeVito’s money laundering scam from The Big Heist (2001). Leader Technologies’ social networking invention was targeted as a unifying communication platform through which this cartel could secretly organize their Harvard Law, Wall Street and Silicon Valley cronies. Tellingly, Barack Obama announced his candidacy for president in January 2007 on Facebook—Leader’s stolen invention. The Social Network movie floated a complete lie about the Mark Zuckerberg origins of Facebook. A gullible public, advertisers and uncritical mainstream media took the bait. Gruber is the first full admission that this cartel uses such boldface lies and stealth to achieve their objectives. Jesus Christ said “By their fruit you will recognize them” when teaching how to distinguish someone who is outwardly charming, but is in reality a ravenous wolf. (Matt. 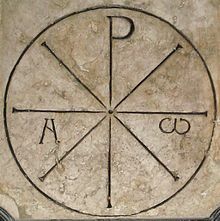 7:15-16). What is the Cartel’s fruit? Are these really the kinds of people that we want setting our cultural, political, spiritual, education and economic agendas? They have failed everything they have touched... except their hidden agenda. Mutual Fund Scam: Judges, regulators and politicians hide bribes behind a so-called “safe harbor” opinion that’s neither a policy or a law. JPMorgan’s Danny DeVito is bullying a real American Internet innovator in Dr. Lakshmi Arunachalam. If JPMorgan is allowed to succeed, American ingenuity will fizzle to a whimper. JPMorgan and their unscrupulous lawyers' (sorry for the redundancy) voracious appetite for new patents and new ideas to feed to the Cartel is sucking the air out of the room. Entrepreneurship and innovation will be killed as a result. Then what? New ideas slow. Fewer ideas, mean fewer new jobs. Fewer jobs mean lower taxes and less social services. The nation becomes vulnerable to predators. Nothing good can come out of what JPMorgan and the Cartel are attempting to foist upon the world through the likes of Danny DeVito. 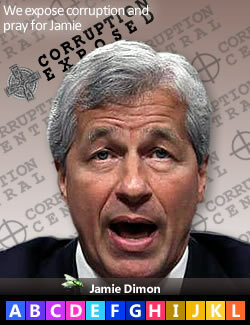 JPMorgan and the Cartel—the real Wolves of Wall Street—must be dismantled. Kuddos to Dr. Arunachalam for standing up for our constitutional rights.